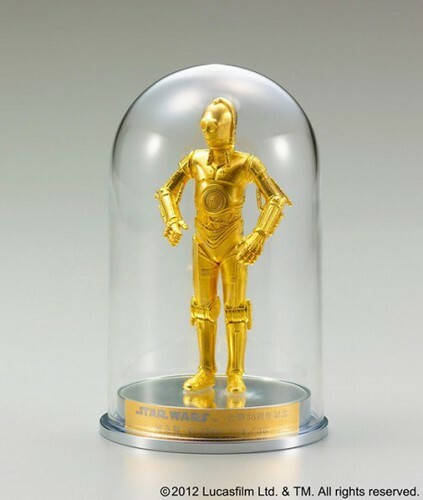 Star Wars is celebrating it's 35th Anniversary with some serious bling bling. 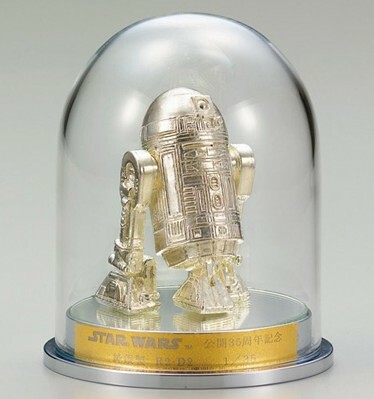 This R2-D2 comes in solid sterling silver and C-3PO is made of solid gold. crazy..! 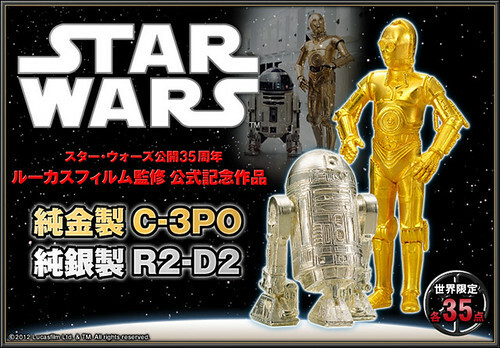 Each limited to 35 pieces and R2-D2 will cost $1,800 while C-3PO will set you back $6,000...! To be released in May.